Buy a double value scoop of your favorite of Baskin-Robbins ice cream flavor and get a free themed waffle cone upgrade! Promo runs from June 15, 2017 to July 31, 2017. 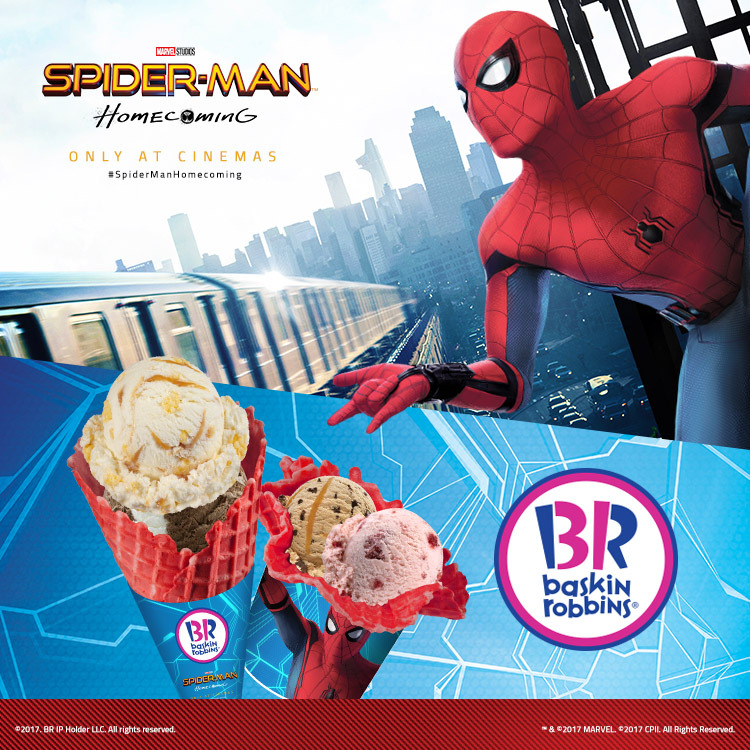 Labels: Baskin-Robbins, Marvel blockbuster film, Spider-Man, Spider-Man: Homecoming.